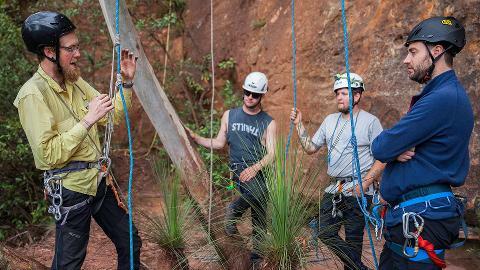 "I had the pleasure of spending 8 days with the team at ASM as I worked my way through the Abseil Leaders Course and Rock III. I can not recommend both these courses and this company highly enough. 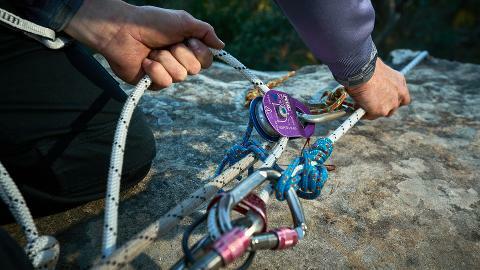 All in all I have had the pleasure of working with some genuinely exceptional and gifted young instructors who are a true asset to ASM and the wider climbing/abseiling community. 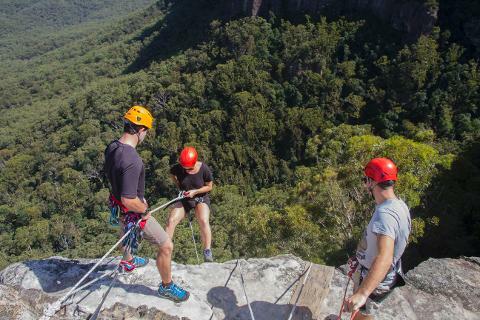 If you're planning on spending time in the Blue Mountains and are looking for a challenging, exhilarating and rewarding experience then head straight for ASM." 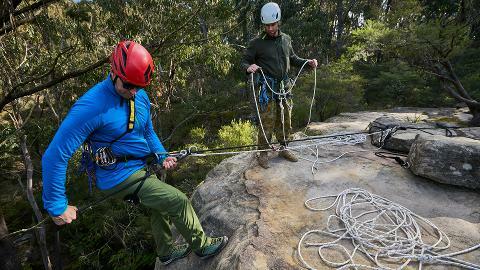 This training is designed for professional outdoor instructors, outdoor centre staff, teachers, defence personnel, outdoor club leaders and other professional and recreational based users who want to gain the skills of an Abseiling Guide / Leader but do not require a nationally recognised qualification. 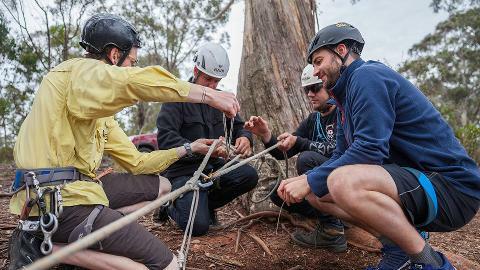 ASM's Abseil Leader's Course integrates current international best practice Abseiling Leader Training and is aligned to Nationally Recognised units of competency. 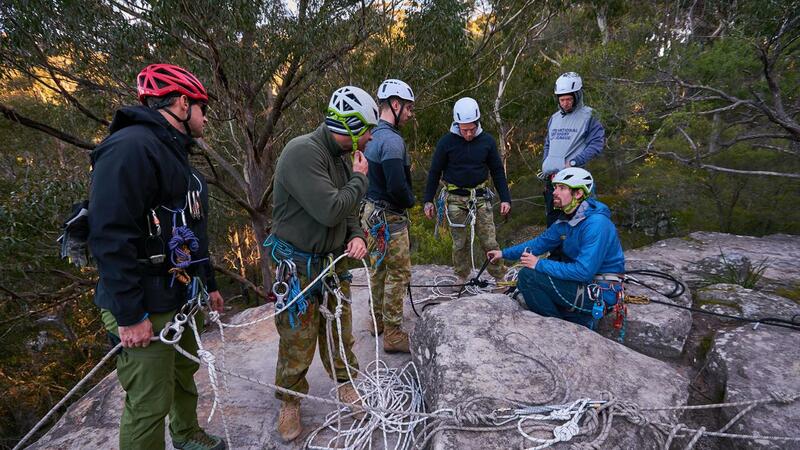 ASM's Abseiling Leader's Course constitutes four one-day training modules with optional work placement / skills practice and an optional additional assessment process. 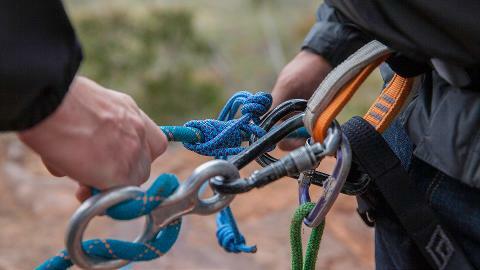 The final day of this course is used to refine your skills and workshop questions and situations that may arise during Abseiling experiences, consolidating your new skills and ensuring you leave the course with proper understanding of everything taught.